While Google+ might be taking off (with over 20 million users and counting) the service is mainly dominated by only a few names. 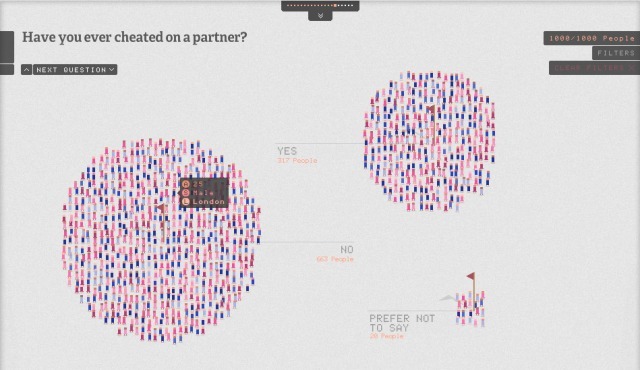 As this visualization shows, most of the activity is centered around only a few people, with tenuous links to the “other half”. …there is a clear tightly connected component that is distinguished from a more dilute area. I suspect, without any real investigation, that this is the core area of Google employees and some of their immediate connections as well as alpha users. As one commenter notes, though, the only information that could be gathered for this investigation is on public posts. If someone never posts publicly, they won’t show up in the results. This is, according to Google+ VP of Product Bradley Horowitz, “by design”. The tiny little caveat from a commenter actually means that the “dark matter” that’s invisible to Mr. Hurst accounts for the vast majority of data. At any rate, it’s an interesting look at the ecosystem of Google+ and the “Scoble Effect” where one person can completely dominate a network due to their connections.